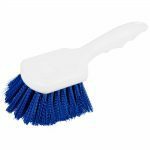 SAATI Blue Scrubber brush - RC Screen Shop & Supply Co.
SKU: SAA-SCVV107. Categories: SAATI, Chemicals, Spot Removal. Tags: Blue scrubber, cleaning, SAATI. Durable Scrub Brush with handle. Blue Brittle Pad with White Handle. Chemical Resistant. 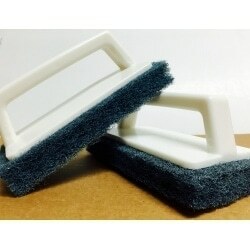 The handle is permanently attached to the scrub pad.